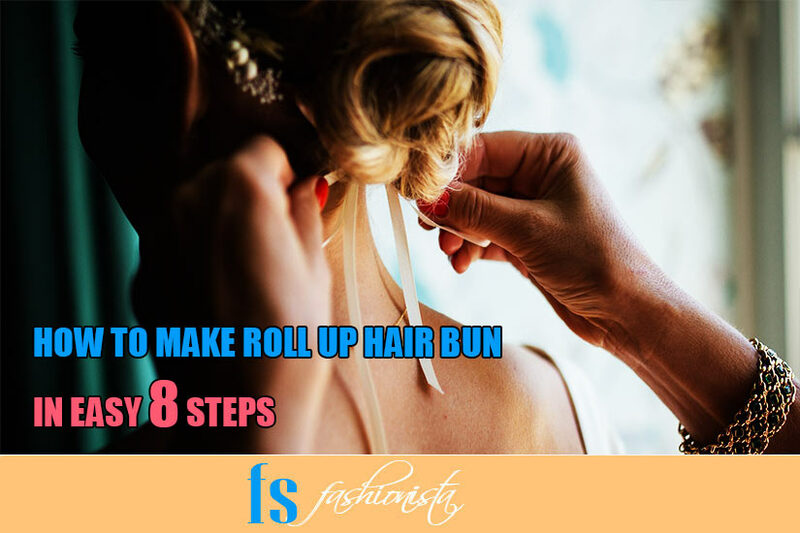 The Rolled Updo is one of the famous and the most go-to hairstyle for a majority of ladies around the world. The famous hairdo is not famous in a particular region be it Asian, European, American or African every lady loves this hairstyle. Make two sections of the hairs as shown in pictorial. Clip the upper one and ponytail the lower section of hairs. Backcomb the upper section of ponytail. Start rolling the pony tail outward, making a nice bun. Secure the bun with hair pins. Take some hairs from the middle section of hairs and make a braid. Leave the braid on one side, and twist remaining hairs. Wrap the hairs round the bun with the help of hair pins. Carefully wrap the braid as well round your bun. This hairstyle looks neat and elegant, and is perfect for any party or wedding event. Hope you would love it too :) feel free to share it with other beauties on you social channels.